This time line was edited and updated on July 17, 2014. Confused about what has been happening with the campaign for U.S. ratification of the “Disability Treaty” (called, Convention on the Rights of Persons with Disabilities, CRPD)? This post starts with a brief background on what the CRPD (“Disability Treaty”) is. Then it provides a rough timeline of events in the movement for U.S. ratification of the CRPD. The CRPD is an international treaty—an agreement among nations that sign and ratify it. Countries that ratify the CRPD agree to provide people with disabilities the same rights and opportunities that other people have. The CRPD was partly inspired by the Americans with Disabilities Act (ADA). It promotes equality, non-discrimination, and the inclusion of people with disabilities in the mainstream of society. As of July 2014, 147 countries have ratified the CRPD–but the U.S. has not yet joined them. This captioned 6-minute video from the U.S. Department of State explains why they are working to support U.S. ratification of the Convention on the Rights of Persons with Disabilities (CRPD). For more information on the Disability Treaty, visit http://disabilitytreaty.org. The website at this link also has a great Action Center that makes it easy to call or email Senators to ask their support for the CRPD: it does everything except dial the phone for you! Youth under 30 and students of all ages can sign a CRPD support petition at http://bit.ly/Youth4CRPD. 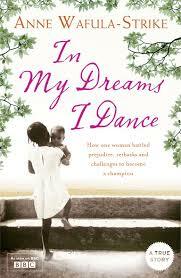 IN MY DREAMS I DANCE-AN INCREDIBLE STORY OF ANNE WAFULA STRIKE AGAINST ALL ODDS. As a young disabled girl,an activist on human rights ,disability inclusion and most of all an avid reader of African and European literature,always looking for inspiration,I have always noticed that there is a missing link,in terms of autobiographies and literature written by a women with disabilities.There is a huge impact when disability intersects with gender.At that point most certainly,women with disabilities tend to be disenfranchised and dually-discriminated. In my quest for literature written by women with disabilities then,I came across one Anne Wafula Strike.Born In rural Kenya,but now hailing in the U.K.I was immediately drawn to her,a figure that has campaigned and withstood huge challenges and faced extreme adversity to shine and be a role model to millions of girls with disabilities in the world. The IDA CRPD Forum has been set-up by the International Disability Alliance (IDA) http://www.internationaldisabilityalliance.org/ to continue the work of the International Disability Caucus. The IDA CRPD Forum upholds the Convention on the Rights of Persons with Disabilities (CRPD) as the universal standard for the human rights of all persons with disabilities that takes precedence over previous instruments. It is a binding treaty that entered into force for States Parties on May 3, 2008, together with its Optional Protocol authorizing individual complaints, and it reflects the most recent consensus of the United Nations General Assembly on the subject matter of the human rights of persons with disabilities. As such, it is relevant as a guide to interpretation of other treaties and obligations under international law, all of which must be applied without discrimination based on disability. The adoption of the Convention on the Rights of Persons with Disabilities (CRPD) is not the end of the process, but the beginning of a long and difficult process to put the CRPD into practice. If the Convention is really going to have the impact we all wish it to have, the disability movement led by the International Disability Alliance needs to engage actively and in a coordinated way in all the stages of ratification, implementation and monitoring of the Convention. It will be vital to ensure that the DPOs at national, regional and international level, representatives of our diverse constituencies, and allied NGOs such as development and human rights organisations, act in a coordinated way. The aim of the IDA CRPD Forum is to develop a strong unified voice from civil society led by Disabled people’s organisations, DPOs, in matters concerning the CRPD. The key to a strong Convention is the number of people we reach, so it is expected, that all participants of this Elist whether DPOs and/or Individuals will develop wide networks with whom they consult and whom they inform. I received this announcement from Frank Hall-Bentick. People should subscribe by emailing IDA_CRPD_Forum-subscribe@yahoogroups.com, NOT We Can Do, thank you. The Federal Ministry of Women Affairs and Social Development invites interested Resource Persons for Pre-qualification to tender to conduct a nationwide survey of Persons with disabilities (PWDs) in Nigeria and to assist the department prepare modalities for carrying out the National Baseline Survey on Persons with Disabilities in Nigeria. Interested candidates should have garnered 10 years of professional working experience in areas of demographic and Survey research at both national and International levels. Ability to maintain effective report with different levels/group of people. Demonstrated ability to plan and execute agreed task on schedule and within specified budget. knowledge of Human Rights including Rights of Persons with disabilities. Both National, and International Disability survey experts are eligible to apply. Application should be submitted not later than two weeks from the date of this publication i.e. Monday 7th July 2008. Only shortlisted candidates who are duly registered with the Ministry will be contacted. – Brief description of your work and your position and responsibilities within your organization. – Describe what experience, qualities and skills you will bring to bear on the job. (c) Curriculum Vitae (maximum of Five pages); listing your education (degrees, qualification etc; your work experience (organizations you worked for, projects you were involved in); and if applicable a list of publications. The Resource person should be equipped with the analytical and conceptual skills needed to understand disability issues in the context of demographic, economic and social data on persons with disabilities in Nigeria and the skills required for effectively carrying out a nationwide survey. We Can Do received this announcement via the Intl-Dev email distribution list, which circulates announcements related to international development. Please note that any inquiries should be directed to the email address provided in the blog post above, NOT to We Can Do. Similarly, applications should closely follow the instructions given above and should NOT be directed to We Can Do. Thank you. Today, the international disability rights treaty, more commonly known as the Convention on the Rights of Persons with Disabilities (CRPD) is on the verge of entering into force this May 3, 2008. But a mere year ago, in March 2007, the CRPD had only just been opened for countries to sign and ratify. And in August 2006, negotiations for the CRPD had just come to a conclusion. Before the ink had dried on the latest agreed-upon text, Rehabilitation International and the United States International Council on Disabilities (USICD) convened a Seminar on Implementation of the Draft UN Convention on the Rights of Persons with Disabilities. A 20-page report from the seminar (PDF format, 144 Kb) summarizes the views presented there by government officials and members of civil society and academia on how to develop programs and policies that incorporate the CRPD. It identifies key goals, discusses best practice, and discusses how to ratify and implement the CRPD. Participants called upon people with disabilities to hold, not only individual governments, but also international organizations such as the World Bank accountable for being more inclusive. The report presents a series of recommendations for how the United Nations, country governments, civil society organizations (especially disabled people organizations), and others can raise awareness for the CRPD, advocate for its ratification and implementation, and otherwise ensure that people with disabilities are able to enjoy their human rights in their daily lives. The CRPD, as the first international, legally binding human rights instrument to protect the rights of people with disabilities, will help protect a wide range of rights such as access to education and health services; the right of people with disabilities to live in the community (not institutions); equal access to justice; the right to vote; and more. Learn more about the CRPD and how it is meant to help people with disabilities around the world by taking a few minutes to read the RatifyNow FAQ. We Can Do learned about the RI-USCID Seminar report by browsing the AskSource.info database on health, disability, and development. People with disabilities in Karnataka, India, have now won the right to accessible polling locations in the upcoming May 10, 2008, assembly elections, Action Aid India has reported. All officials involved with the upcoming election have been alerted to the requirement to install ramps and Braille voting booths so that people with mobility and vision impairments will be able to vote. Delegates, including people who use wheelchairs or have vision impairments, visited political party officies to raise demands for access to voting polls. However, the offices themselves were not accessible to the delegates because they had no ramps. While you are at the Action Aid India web site, you may wish to also browse among some of the other resources linked there related to disability rights. We Can Do first learned about this news from Ghulam Nabi Nizamani. You can give free rice to hungry people, play a free game, and improve your vocabulary, all in the same key stroke at a new web site called FreeRice. If you’re one of my regular readers at We Can Do: my apologies. I know you usually come here to find new resources, information, news, or announcements related to poverty and human rights among disabled people in developing countries. Usually I do try to stay very tightly focused on issues of disability and international development at this blog. But this post IS still about poverty, even though it’s not specific to disabled people. And, more importantly, it IS still a holiday for most readers. So what the heck. I’ll indulge, this once. And I hope you’ll indulge with me. So how does FreeRice work? Simple. Go to www.freerice.com. You will see a vocabulary word at the top of the screen and four possible definitions or synonyms. Choose the one you think is the closest match. If you guess correctly, FreeRice will give 20 grains of rice to hungry people. Then, if you like, you can continue playing. If you’re sighted and able to view images with your computer equipment, then you’ll also see a picture of a bowl of rice filling up each time free rice is given. This game is tailored to the vocabulary skill of each player who participates. If you answer three vocabulary questions in a row correctly then it gives you a more challenging word. If you continue to guess correctly, the words become harder and harder. If you miss one, it gives you an easier word. If you keep missing, the words become easier and easier. Until you start to answer correctly again. There are 50 vocabulary levels. So nearly all people should be able to find a level that is comfortable for them whether you’re learning English as a second language or whether you’re a vocabulary geek. You might wonder: if this game is free, then where does the money come from to pay for all the rice that’s going to hungry people? It comes from advertisers. There is an advertisement banner at the bottom of the screen. The ad in this banner changes every time you guess a new word. The more you play, the more ads you see. And the advertisers are obviously hoping that more people playing FreeRice will translate into more sales for their products, or more donations to their charitable causes. I’m not able to evaluate whether the FreeRice site is accessible to people who use screen readers. If this is you, I would be curious to learn about your experience there. Since the game itself is text-based, I’m guessing there should not be any major problems with it. Though I’m also guessing that the ads won’t be very accessible, unless a given advertiser thinks to use the alt tag for their images. And you won’t see that rice bowl filling up. This blog post deviates from the usual We Can Do post in two ways. One, as noted above, it’s not about disability. (Though disabled people do certainly starve also. In fact, given that disabled people are more likely to experience poverty, it’s probably safe to assume that people with disabilities are also more likely to go hungry.) Two, my normal focus in this blog is on finding long-term solutions to long-standing problems. Thus, things like how to better include disabled people in large-scale, long-term poverty reduction strategies. Or how to ensure that disabled children in developing countries are not left behind when their governments try to bring more children into the classroom. In this view: one criticism I do have for the FreeRice site is that it offers a temporary fix for something that is, for far too many people, a chronic problem. In the long run, it’s not enough to keep shipping free rice to hungry people. That feeds them today, but it doesn’t help them feed themselves tomorrow or next year. That means we also need to invest in more long-term strategies for fighting poverty. That means more schools so that the 77 million children out of school can enter the classroom for the first time. And we need more textbooks and better quality teachers–and possibly more computers–so that children already in the classroom will learn something while they’re there. Poor people who have entrepreneurial skills need small business loans so they can lift themselves out of poverty with their own hard work. And we need to give more aid dollars directly to organizations based in developing countries who are running great projects to fight HIV/AIDS, deliver clean drinking water, or abolish poverty. But this is not a slam against FreeRice, per se. In fact, I sometimes play this game myself. Yes, more chronic forms of hunger do need a long-term fix. But hunger can also be a short-term emergency, such as during a time of war (though wars, unfortunately, can sometimes be long-term) or in the first few months after a natural disaster. And short-term emergencies, unfortunately, will always happen. Therefore, we will always, to some extent, actually need short-term fixes like FreeRice. I just feel compelled to point out the need for long-term solutions because I worry that some people in industrialized countries are too quick to donate time (or money) to easy, “feel-good” causes that don’t actually solve problems. If you really want to help, then don’t just help. Instead, make it possible for people to help themselves. But, there’s nothing wrong with also having a little fun at freerice.com. In that spirit: Here’s wishing you a Happy New Year. May the year 2008 be delightful and fruitful for you. And for those of you who work to ensure that disabled people are not left out when governments and organizations fight poverty and speak out for human rights: I hope all your endeavors this year will be successful ones. Apologies for the inconvenience, to those of you who had already looked at the original version of that post. The best source of information and detail, however, would be the USAID Mission office that is most relevant to you and your country. The above post links to a Mission directory that you can consult to figure out which office to contact. Or, if you already have an on-going relationship with a USAID mission office, you should communicate with your regular contacts there. If you are new to USAID, then it may be helpful to try working with an NGO that has received USAID funding in the past for assistance, contacts, or a possible partnership.